Lawn a Little Lame? 4 Simple Ways to Enhance Your Backyard | Global Garden Friends, Inc. It can be dispiriting to look at your backyard and see little to no signs of life. Your backyard should be a canvas that allows you to express yourself to your neighbors, friends, and family. If it’s in need of a makeover, there are plenty of strategies to make that possible. Here are four simple ways to enhance your backyard. Gardening was once a necessity for many families. Thanks to increased grocery access, it’s become more of a hobby. However, it can be one of the most rewarding hobbies you take part in, and it can do wonders for enhancing the appeal of your backyard. Look into what crops can be grown in your backyard based on things like climate and soil requirements. You can speak to people in the home and garden department of your local hardware store for additional guidance. This can teach you patience as you anticipate the seeds you plant sprouting and bearing fruit. Do you consider yourself to be something of a mixologist, or do you just really love entertaining your company? Either way, you might consider starting an outdoor bar. Look for a custom outdoor bar set that would work well with your backyard. During cookouts and other outdoor events, it can be one of the most popular attractions, and it will give your yard a greater sense of character. Sometimes, the best results for your backyard are achievable not through what you add but what you subtract. An overgrown lawn and waist-high weeds can make your backyard look like a wreck. If this is an especially large job to conquer, you should hire landscapers. They’ll work with you to turn an unkempt lawn into something to be proud of. 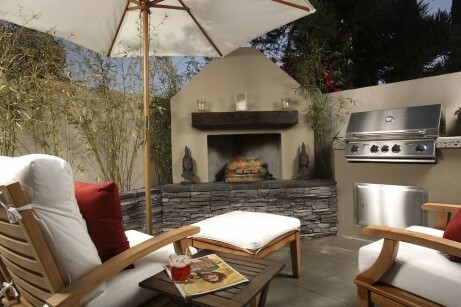 Then, you can think about the endless possibilities for your revitalized backyard. If you have a spacious enough deck and are willing to keep up with maintenance, a hot tub can be an addition that brings everyone swarming to your residence. On a brisk night, you can find refuge in the heat and jets. Make sure you follow the safety precautions, including all health advisories. You also need to make sure you keep the hot tub clean, to ensure continued and relaxing use. Every part of your home should be given equal consideration, both indoors and outdoors. By remembering the importance of your backyard, you can give your house a greater sense of completion. This is your property and you want to make the absolute most of it. Author Bio: Lizzie Weakley is a freelance writer from Columbus, Ohio. She went to college at The Ohio State University where she studied communications. In her free time, she enjoys the outdoors and long walks in the park with her 3-year-old husky Snowball. Connect with her on Google+ and (@LizzieWeakley). Thanks for the great advice! I personally love my lawn, I take a great care of it by providing it with nutrients and cutting the grass regularly. But I have to admit that having a cosy backyard is also a very tempting idea. We have a small garden space in the back of the house, but it seems so small that it’s impossible to decide whether you want to grow something on it or not. I wanted to add a small table with a few chairs, but I guess I’ll have to clean it up and throw away everything unnecessary from there. Hiring landscapers is a really good idea, if you can afford it, because if not anything else, they can provide advice on what would be suitable for the space you have.